Animal print pillow a la leopard! Animal print pillow a la tiger! Velvet animal print pillows can get very pricy because they're typically made from high-grade designer fabrics (such as the Scalamandre tiger print below). 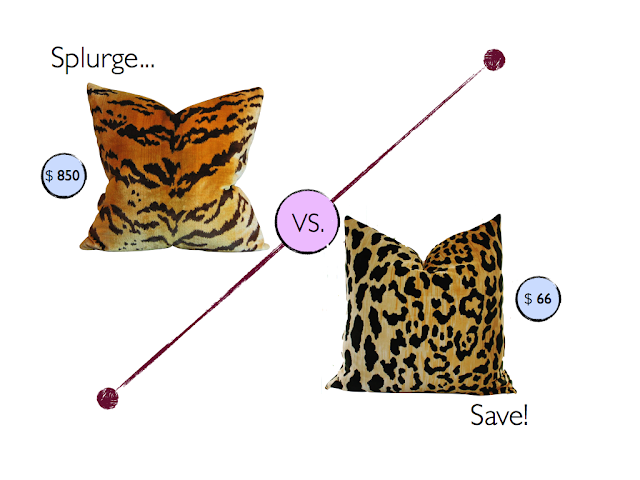 But, if you're in the market to try one in your space why not go for a more affordable option like this leopard print pillow? It's the same look (both 22" square, velvet pillows) but for WAY way way less! 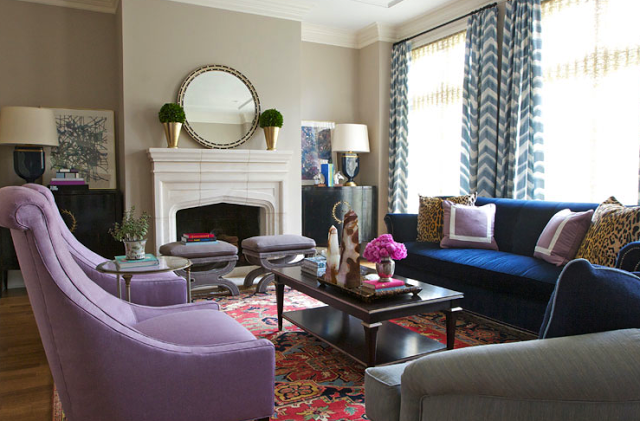 And, doesn't it look so pretty in this less formal, more contemporary room? While I tend to shy away from animal prints in our very laid back home decor, I'm tempted to try it when I see spaces like the one above. 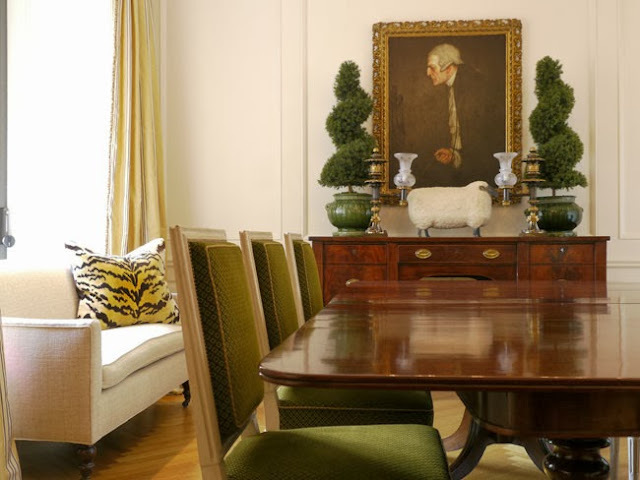 How do you feel about animal print in decor? 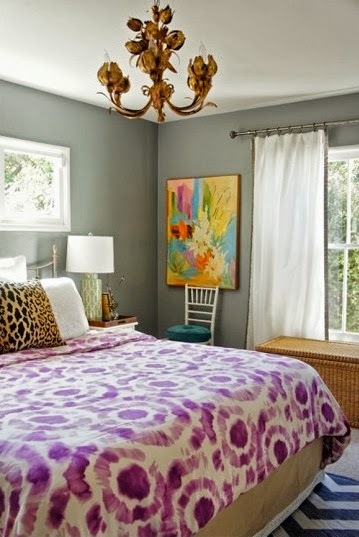 Would you consider adding an animal print pillow to your space?? $850 dollars!!!!!????? I totally wanna cuss right now. Is it made out of real leopard hide?!?! Yay or Nay? I need your help! !